With 3 Olympic and 5 World Championship gold medals under his belt, Pete Reed is one of the UK’s sporting greats. He is one of the most decorated rowers in sporting history, and is aiming to obtain his fourth gold medal at Tokyo 2020. In 2017 a hip injury threatened to put an end to Pete’s but the rower is made of stern stuff. After a successful surgery, Pete began an intensive rehabilitation programme and turned to Mammoth to help him rest and recover as he continues his quest for another gold medal. So as Pete fights his way back to his full training regime, we caught up with him to find out more about what motivates him and what little details can make all the difference when it comes to winning and losing. Pete describes himself as having been an outdoorsy child, despite not really expressing an early passion for sports. He tried a lot of sports in his younger days and found a talent for cycling, but it was his love of nature, adventure and exploring which he remembers best. It wasn’t until Pete joined the Royal Navy at 18 that he discovered a passion for fitness through the rowing machine. After gaining a scholarship to study at Oxford University he started rowing on the water and progressed quickly, being picked by the GB team just two years later. 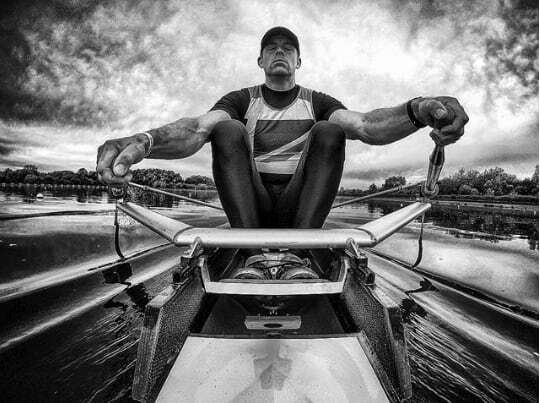 Pete has since competed in all three main rowing events internationally: the pair, four and eight, and has won in all three disciplines. His most successful track record is in the Men’s Coxless Four, in which he has won a world record, a 27 international race unbeaten run, two World titles and two Olympic titles. But surprisingly, this isn’t Pete’s favourite event to compete in. That title goes to the eight, in which he has won three World titles and an Olympic Gold in 2016. So what does the training regime of such a successful UK sportsman look like? Well, it consists mainly of training, constant eating and fatigue. Pete eats 6,000 calories a day in order to fuel his training, and he aims for a solid night’s sleep every night. But this selfish sacrifice is necessary when you’re sitting at the starting line of one of the biggest sporting competitions in the world, which Pete describes as an environment that’s full of pressure as you have to be prepared for your battery to go from maximum capacity to completely drained in less than six minutes. For those of us who have never experienced it, what does it feel like to win an Olympic Gold? “More than anything else, I felt relief,” says Pete, describing his first gold win. It is a long and painful journey to winning that first gold medal, but Pete says that the euphoria and elation which comes moments later — and knowing that you are the kind of person who has what it takes under such a huge amount of pressure — makes it all worth it. But when it comes to winning a second and third gold, Pete says the first is easy by comparison. Winning his second gold medal in London against Australia’s best was a lot of pressure for Pete, so much so that he recalls having to feed off that pressure in order to succeed. His third — in an eight-man boat in Rio — was more fun by comparison. Is it possible to still have goals to aim for when you have already achieved so much? Apparently so. Pete still has dreams, goals and ambitions, which at the minute consist of doing what he loves “with people I love, for people I love and to enjoy the journey as I go.” This means training, improving and testing himself in the hope of once again representing Great Britain in Tokyo 2020. Pete is currently recovering from major surgery, which has given him some new insights into the importance of effective rest and recovery. Pete’s hip problems remained underlying for a very long time, as he recalls how they weren’t flexing up to his chest properly which resulted in his lumbar spine having to compensate. Over time, the intensity of repetitive rowing motions wears down the discs and creates debilitating pain. Pete describes himself as lucky to have had the best recovery team in the world, including doctors, surgeons, physiologists, physiotherapists, psychologists, nutritionists, strength and conditioning coaches, clinical specialists, rowing coaches and, of course, bed experts. The hardest thing about such a long term recovery process is understanding new limitations and accepting missed opportunities, says Pete, highlighting that the team travelled to the World Championships without him for the first time since 2005 during his recovery. In terms of the recovery process itself, Pete says that nutrition, hydration, rest and sleep are all that’s needed to recover effectively. He describes how recovery and training go hand in hand, saying that the better you recover, the harder you can train and the better you perform. And a lot of this process comes from getting to know your own body, working with sports scientists, coaches and nutritionists. There’s no doubt that sleep is an important part of this recovery process. But if Pete could sacrifice a night’s sleep to spend time with anyone, who would he choose? Pete says he would have loved to have sat down and spent time with the “wonderful man” that he was. Now let’s talk Mammoth. Mammoth mattresses are known for their health benefits, especially in people looking for performance gains or who are recovering from injury, making it the perfect choice for Pete. Pete aims for 8 hours of sleep a night, accompanied by an extra hour during the day. This nine-hour total helps him to cope with the demanding circuit of weights, rowing, rowing machine workouts and cross training. And if he can manage to achieve 10 hours of sleep, he is ready for anything. But a dip in sleep quantity can have a serious knock on effect for Pete, who says one bad night is manageable, but a sustained run of 6-hours-a-night sleeps leads to a rapid fall in productivity and enthusiasm. When working away, Pete doesn’t have the luxury of taking his Mammoth mattress with him, but he likes to make sure that his sleep environment is clean and fresh. But of course when he is at home, Pete can enjoy his Mammoth mattress, which he discovered through the brand’s relationship with the British Athlete’s Commission. 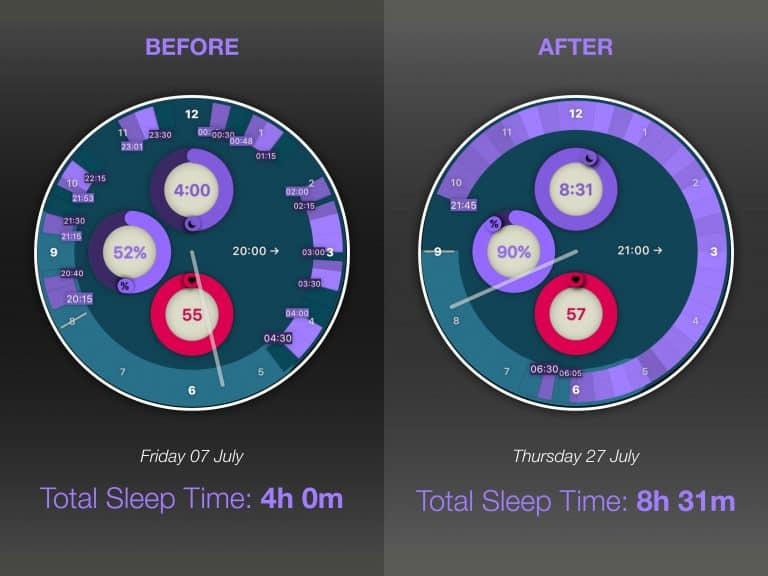 Pete has measured some of his sleep patterns from before and after acquiring his new mattress, and the results speak for themselves. They show that Pete’s total sleep time has more than doubled.